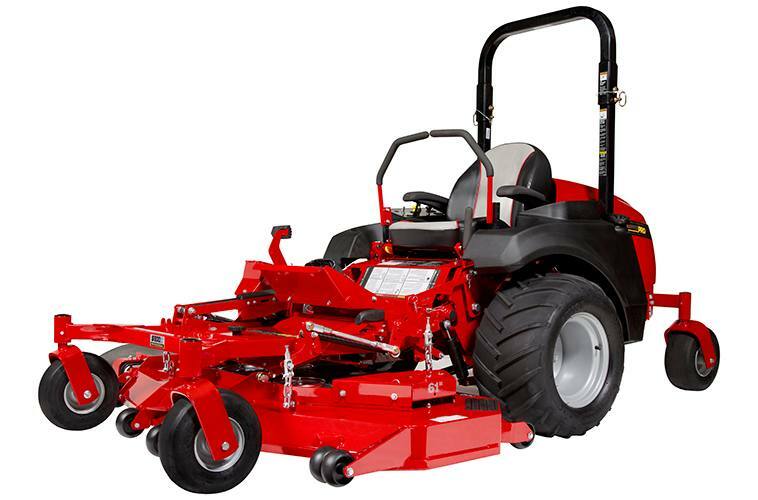 Be Productive All Year: Optional 60" 2-stage snowblower and cab available. Diesel Power - Yanmar compact diesel engines are clean, quiet, fuel efficient and reliable. Electric Deck Lift: Raise the deck with a flip-of-the-switch to make deck maintenance a snap. Precision Finish: The pivoting rear axle in conjunction with the floating front frame allows the S800x to follow the contours of the landscape for a precise, manicured finish. Overall Width: Deflector down/up 73" / 61.5"
Seat: Premium adjustable seat with arm rests	; Standard Roll Over Protection System w/retractable seatbelt. 90-degree foldable. Warranty: Engine - 3-Year limited manufacturer's warranty ; Balance of Machine - 4-Year (48 months) or 500 hours, whichever occurs first. Unlimited hours during the first 2 years (24 months). Belts, tires, brake pads, battery, blades: 90 days.